Sometimes deputes occur concerning who will administer an estate. In such cases, when there is a dispute the decision rests in the court’s discretion, but several standards apply nonetheless. If any person dies intestate, administration of the intestate’s estate shall be granted to the surviving spouse of the intestate, if he or she will accept the administration, and, if not, or if there be no surviving spouse, then to the remaining heirs of the intestate, or some of them, if they or any of them will accept the administration, and, if none of them will accept the administration, then to any person as will accept the administration. This statute provides a clear preference for appointing the surviving spouse as administrator of the deceased spouse’s estate. One recent court decision addressed the question: If a plaintiff in a matrimonial matter dies intestate while her divorce complaint is pending, who becomes administrator of her estate – her estranged husband, or her son from her prior marriage? In the end, the court chose practicality over the letter of the law, and appointed the decedent’s son as administrator over the decedent’s estranged husband. When the decedent leaves a will, the court may still disqualify or bar the executor named in that will in the court’s discretion, based for example, on the finding of a conflict of interest or undue influence. 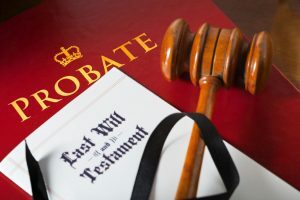 A common issue which arises in a will contest – and in certain disputes regarding trusts and guardianships – is whether the fiduciary should be allowed to continue to serve in that role while the litigation is pending. This matter can be pivotal, since the fiduciary, even while the litigation is pending, can have power and leverage as to how assets are handled. Further, in most cases wherein a person is alleged to have committed undue influence which allegedly invalidates the will, that person is the main beneficiary of the will under attack – including the person named as the executor in that will.